The story of Patrón goes well beyond revolutionizing the world of tequila. It's the story of hard work, a pursuit of perfection, and a commitment to doing something the right way at every step. Think that's an exaggeration? 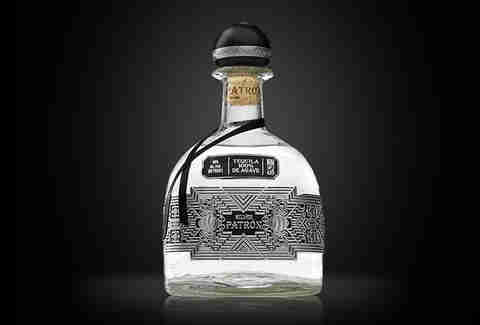 Read the 12 most intriguing facts about Patrón and think again. Specifically, they have the Patrón Tequila Express, a 1927 Pullman railcar decked out in Oriental rugs (and not just on the floor: the wall, the furniture upholstery, you name it) that occasionally travels the country promoting their new innovations. 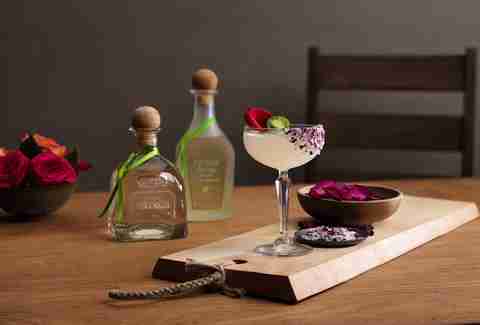 Patrón is the reason tequila has become a top-shelf way to drink. When the company began production, it refined a smooth tequila even further into a spirit you could drink by itself, much like a great whiskey, and changed its public perception. These days a bottle of Patrón is found in more than 100 countries. To make their tequilas, Patrón crushes agave with a two-ton wheel made of volcanic rock. It’s called a tahona wheel, and it’s the old way (“old” as in all the way back to Spanish explorers distilling once they established settlements in Mexico) of pulping the agave in a pit. Patrón uses the tahona in conjunction with a roller mill to make its tequilas, and employs the tahona by itself to make Roca Patrón. The tahona wheel slows production down quite a bit, but also allows Patrón to avoid some of the methods that many connoisseurs feel detracts from the true taste of the spirit. Historically, an animal would pull the wheel along its radius, but Patrón uses an engine since these are modern times. Once it’s ready, the tequila goes into a hand-numbered bottle. Patrón’s avowed commitment to perfection arrives at artisanal cooking in the Patrón Secret Dining Society. For over a decade, the company has hosted supper parties with famous chefs and bartenders in gorgeous locales. You can’t buy your way in; you can only apply for an invitation to dinner on the company’s website if you’re a member of the Patrón Social Club: a brotherhood of like-minded tequila drinkers that, among other things, has been known to gather for drinking mixers all around the country. A special bottle of Patrón Silver comes out annually over the holidays, featuring their most popular tequila bumped up in size. 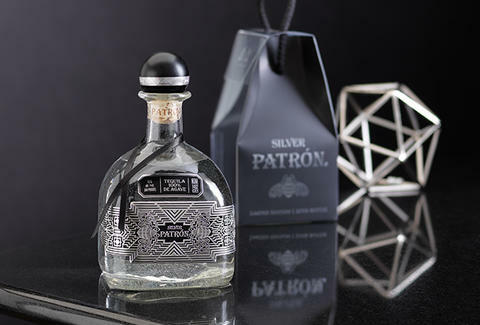 The Patrón Silver One-Liter also features a handmade piece of pewter art carefully applied to each bottle in pursuit of perfection. They’re produced in limited number, so you’ll have to hunt to find one. Thankfully, there’s a product locator tool for that. While the pewter-clad bottle contains the Patrón Silver that is the company’s most popular (and available) release, it was joined around the same time by a super-rare collector’s item specially blended and aged for bottling by the French crystal maker Lalique. Patrón En Lalique Serie 1 was limited to 500 bottles, and produced by blending Patrón’s oldest and rarest oak-aged tequilas. You can see the tahona wheel in action for yourself, because Patrón created a 3D omnidirectional virtual reality experience touring its distillery. It can be viewed on desktop or mobile, but for best effect, try it in a VR experience. 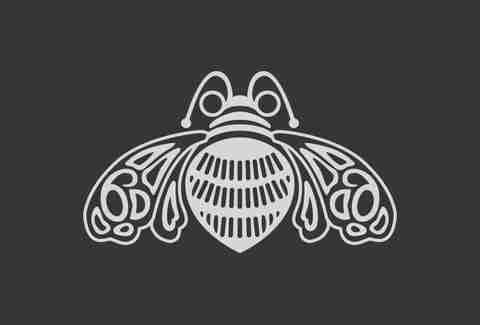 The tour, shot from the point of view of the company’s bee mascot, travels from out in the field, through the distillation process, and straight on to the final product as you enjoy it. You get to experience every stage of Patrón from start to finish. 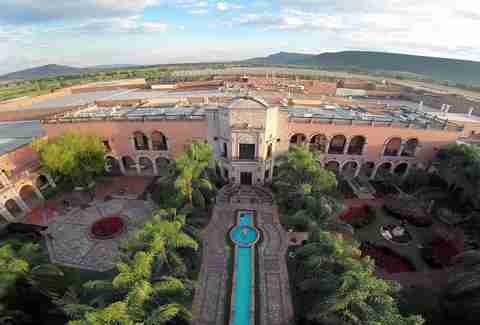 Did the company debut this Oculus VR flight aboard the Patrón Tequila Express? You know it did. During the VR tour you’ll see just how many people produce Patrón. 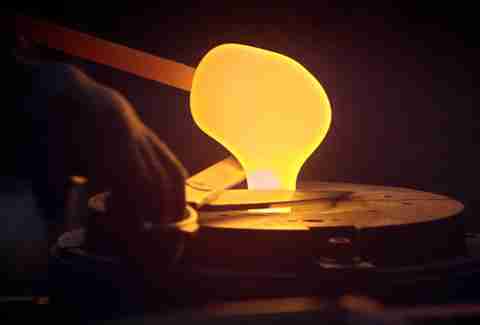 Since so much of the process involves handcrafting, there are far more people involved than the typical distillation of other spirits. We’re still trying to figure out who has the best gig: the employee who gets to helm the gigantic wheel made of volcanic rock, or the people who taste-­test every batch? It’s an eternal question. The recipe for 2016’s “Spicy Rosa Picante Margarita” is a complex blend of flavors in and of itself, but when it inspired some high-end comfort food, that’s when the breakfast table joined the periodic one. Born in Williamsburg, Brooklyn, the $150 Platinum Doughnut is made with real silver you can eat. So why does chef Bjorn Delacruz call his silver-flaked doughnut “platinum”? Because it’s stuffed with translucent jelly made, in part, from Gran Patrón Platinum tequila, along with jalapeño and lime. Additional ingredients include rose mousse, and “aromatic rose ashes” to dye it black. All of this excess contributed to a good cause: a portion out of every sale went to fighting cancer. Reverse osmosis is serious science at the Hacienda Patrón distillery. Among reductions in emissions, waste, and packaging material is this intriguing efficiency measure that saves a lot of water. So how does it work? Distillation, the process by which fermented alcohol becomes a liquor, leaves some liquid behind. Patrón manages to reclaim 70% of the leftover stillage as water, and uses that water for cooling and cleaning. 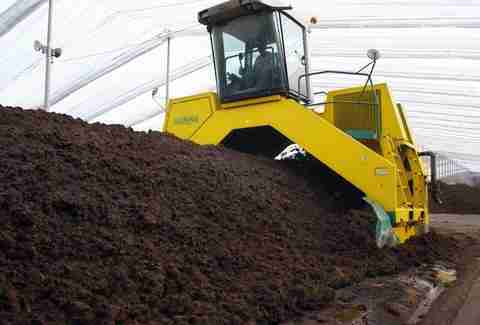 Furthermore, they’re even getting mileage out of the solids by mixing leftover agave into their compost. What do they fertilize with that compost? You’re probably guessing “more agave” ­­ and you’d be right, but the company also has a garden on­site where it grows fresh vegetables to feed its employees. Any leftover compost beyond that is given to the nearby town for maintaining its own green spaces. Patrón is involved with so many charitable efforts to help the world, it would be faster to list the ones it’s not supporting. The company champions several causes that treat deadly diseases, and is part of ecological efforts like the Waterkeeper Alliance and Reforest Action. Why? 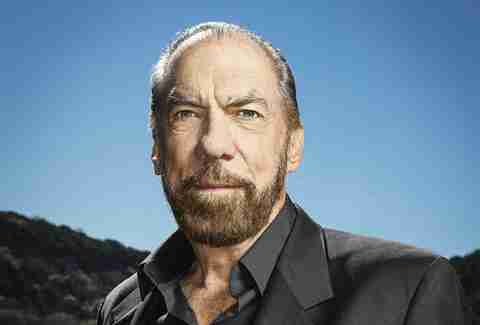 Well, DeJoria grew up poor, ended up in foster care, then joined a street gang. He took hardscrabble jobs selling insurance and encyclopedias door to door. Unable to pay his rent, he collected bottles to stay afloat on $3 a day. When he was back on his feet and founding his first business, the investor backing fell through, and he was homeless again. But he borrowed $750, pounded pavement, and succeeded regardless. All told, he gives the impression of a man who, having once had nothing, now understands the value of everything. Now that’s the holiday spirit we can all raise a glass to.